Splitting up? Okay, so how do you split up the house? I remember watching “War of the Roses” a long time ago. It was about a couple that started out well: in the beginning they were happy and loved each other. Near the end of the movie, however, their relationship had turned ugly – so much so, that one of them took a chainsaw to the house in order to split things down the middle. 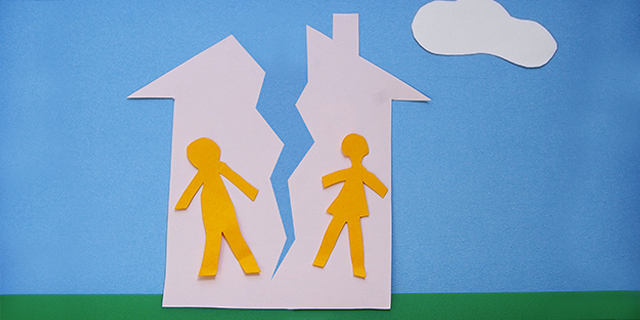 Thankfully, there are better ways of splitting up the matrimonial home, especially when one spouse wants to keep it. It’s a program called the “Spousal Separation Program”. It assists one spouse in buying out the interest of the other for their jointly owned home. The best part is that it circumvents the existing 80% loan to value refinance rule and treats it like a brand new purchase, therefore allowing up to 95% loan to value. Furthermore, this program provides the opportunity to add in additional joint debt that may be required to be paid out as part of the separation or divorce. This debt can sometimes be a hindrance in allowing everybody to go their own separate ways. It also allows one spouse to buy out the other’s equity, freeing the spouse that received the equity to purchase a new property, since he/she now has a down payment to do so. Another major benefit of this program is that it allows couples not to have to uproot their children from their existing home in the midst of an already difficult time. This program, provided the spouse who would like to retain the home qualifies, prevents them from being forced to sell the home, avoiding the costs and stress associated with doing so. If you feel that you could benefit from such a program, you would like to run your scenario past us, or would like to learn more, contact an MA broker / professional today!